A sound, clearly communicated estate plan is designed to help your loved ones make difficult transitions with greater confidence while aiming to protect their future quality of life. 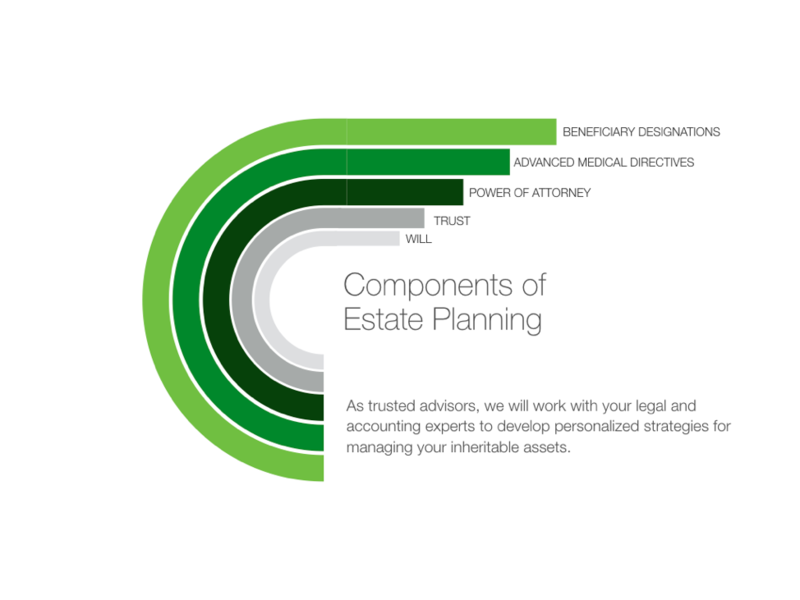 As trusted advisors, we can work with legal and accounting professionals to develop personalized strategies for managing your inheritable assets. A well-rounded estate plan should satisfy several criteria. It should be designed to take care of providers during their lifetimes and offer a distribution strategy that seeks to allocate assets quickly and efficiently to beneficiaries. Additionally, an appropriate estate plan is ideally simple and economical to administer while taking income, gift, and estate taxes into account and paying particular attention to the unique issues facing clients with large IRA or Qualified Plan balances. We know that life can change in an instant. We are always here for our clients to develop personalized strategies and to help implement them from one generation to the next. Our goal is to work with you to establish a solid foundation for pursuing your financial needs. With our guidance and support, we hope to instill confidence that your family will be well prepared for the future. Would you like to talk through your plan with us or simply ask questions? Please give us a call. We’re located in Roseville, CA just a short drive outside of Sacramento, CA.